Sounds like the “ac” in the new MacBook Airs’ 802.11ac wireless might stand for “aw, crud.” Elsewhere Pink Floyd has hit a wall with streaming royalties and Microsoft gets touchy about its gaming future. 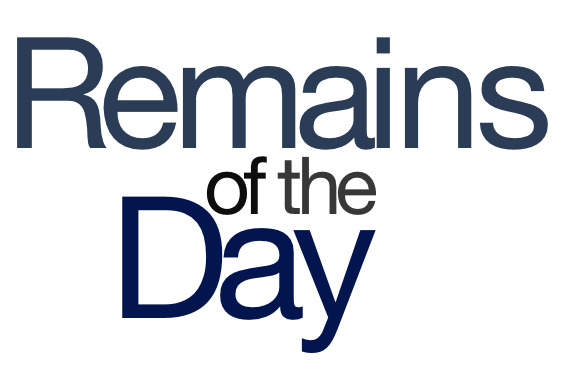 The remainders for Tuesday, June 25, 2013 are wired to the max. Reports say Apple is replacing any new MacBook Air models that run into Wi-Fi problems. Hey, uh, my two-year-old MacBook Air has a Wi-Fi problem … it’s not as fast as the new one. Can you guys do something about that? Three Pink Floyd members took to the pages of USA Today to protest Pandora’s attempt to lower royalty rates on streamed songs. Did you know that that the band doesn’t even get any extra money when college students line up “The Dark Side of the Moon” and The Wizard of Oz? Supposedly Microsoft has contracted with a Japanese company to produce versions of its console and PC games for smartphone platforms, including iOS and Android. I can’t wait for the official iOS version of Minesweeper.